According to reports, Jamel Ahmed Mohammed Ali Al-Badawi was driving alone in a vehicle in Yemen’s Ma’rib Governorate, when it was destroyed by a US air strike. He was one of the FBI’s most wanted terrorists: the man who helped orchestrate the bombing of the USS Cole in October of 2000. US CENTCOM stated that there was no collateral damage. U.S. CENTCOM has confirmed that Jamal al-Badawi was killed in a precision strike in Marib governate, Jan. 1. Jamal al-Badawi was an al Qaeda operative involved in the USS Cole bombing. U.S. forces confirmed the results of the strike following a deliberate assessment process. 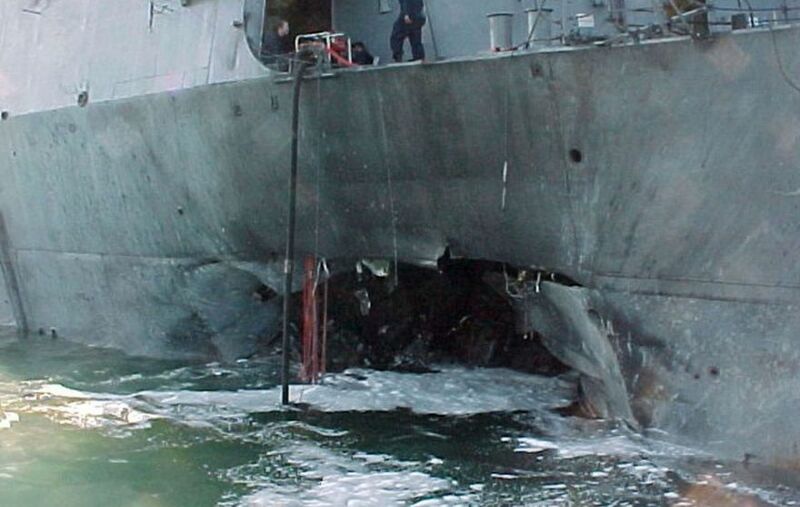 The USS Cole incident in October of 2000 was a precursor of the 9-11-2001 attacks. 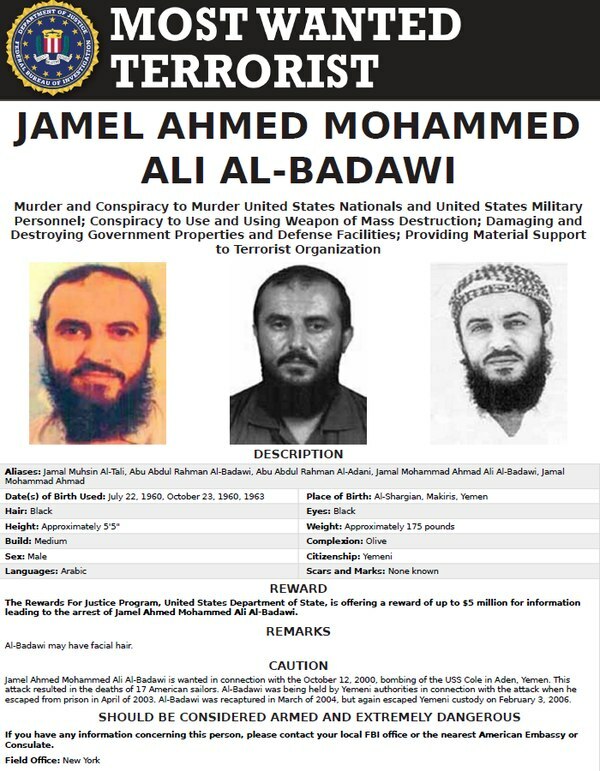 Al-Badawi was a leader in Al-Qaeda. “The guided-missile destroyer Cole docked in Aden, Yemen, on Oct. 12, 2000, for a standard refueling stop when a small fiberglass boat laden with explosives maneuvered toward the port side of the destroyer. The ensuing explosion ripped a 40-by-60-foot gash into the ship’s side, killing 17 and wounding 39 more. Reports estimated that between 400 and 700 pounds of explosives were used. Yemeni authorities took Al-Badawi into custody in December 2000 for his part in the attack, but he escaped from prison in April 2003. For 18 years, Al-Badawi had escaped every attempt to incarcerate him. He was said to have supplied the boat and explosives for the USS Cole attack. The main suspect in that incident is in the custody of the US in Gitmo: Abd al-Rahim al-Nashiri. This time Al-Badawi did not escape.